There's a lot of reasons to look up this month. There’s a whole lot going on in the night sky in July. Several stunning celestial events will occur this month, offering an excellent opportunity to unplug, go outside, and take it all in. A partial solar eclipse, a total lunar eclipse, and Mars at opposition are just some of the offerings the heavens have in store for Earth this month. Plus, there’s going to be a meteor shower at the end of July. And with something going on in the sky nearly every week this month, here are a few of the cosmic phenomena you should definitely look up for. 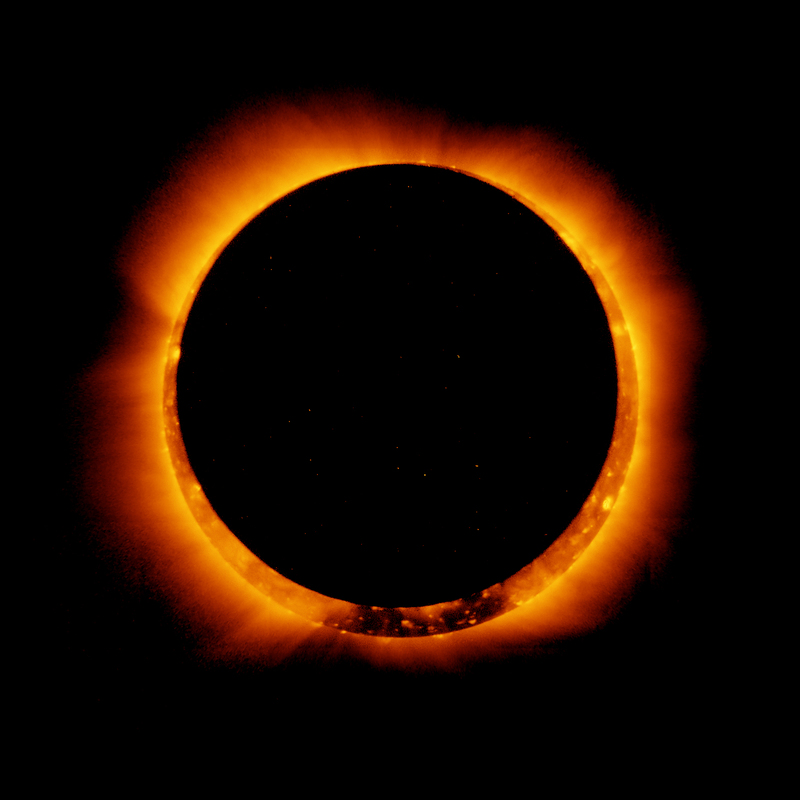 There will be a partial solar eclipse during the new moon in Cancer on July 12. A lunar eclipse always happens within two weeks of a solar eclipse, and a lunar eclipse is set to occur on July 27, so this event isn’t totally surprising, but it’s still pretty exciting. There will also be another partial solar eclipse on August 11. The partial solar eclipses will be viewable from Australia as well as parts of Europe and Asia. The moon will be in a New Moon phase on July 13. The Moon will be too close to the sun in the sky at that point for it to be visible, but it’s still a very important celestial occurrence — especially because it might make other objects in the sky, like the stars, easier to see in the relative darkness. The total lunar eclipse on July 27 will be the longest total lunar eclipse of the 21st century. When the moon passes through Earth’s shadow, it will create an eclipse that will last for a grand total of 102 minutes. The lunar eclipse will also be a blood moon. The eclipse will be completely visible in Eastern Africa, the Middle East, and Central Asia. It can also be partially seen in West Africa, South America, Europe, and Australia. For people who can’t see the celestial event in person, the Virtual Telescope Project is going to livestream the event, beginning at 2:30 p.m. Eastern on July 27. An illustration of Mars in opposition. 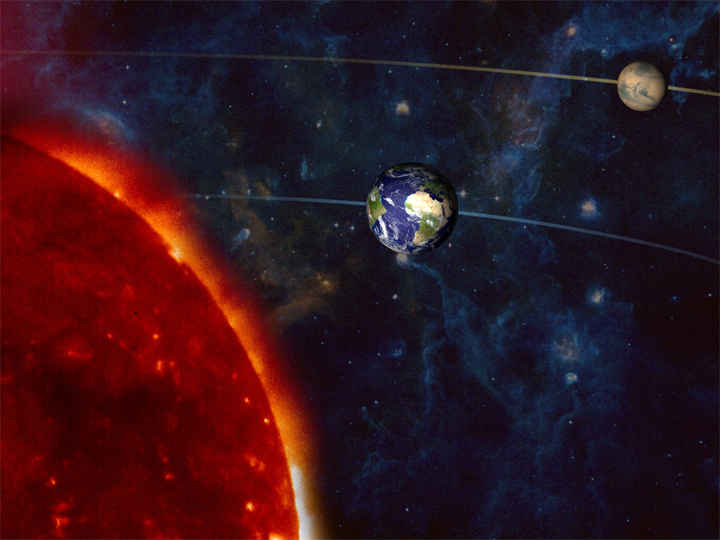 The same day as the lunar eclipse, Mars will be at opposition. Opposition describes when a planet and the sun are on opposite sides of the Earth, and Mars reaches opposition a little over every two years. This month’s Mars will look like the biggest and brightest it has been since 2003. And for a few weeks, it will even outshine Jupiter, the largest planet in our solar system, in the night sky. Finally, the Delta Aquarid meteor shower will peak on July 27 and 28. The Southern Delta Aquarid meteor shower will actually be visible from July 12 to August 23, but the shower will really give us a show on the two aforementioned dates. On those peak nights, you should be able to see more than a dozen shooting stars an hour during this meteor shower, provided you’re away from city lights, according to National Geographic. There’s going to be a bright full moon during the peak of the shower, so the meteors might be harder to spot, according to Vox. But if you look towards the star Delta Aquarii, in the constellation Aquarius, along the low southern horizon, you might catch some of the celestial action.